...a black comedy full of human beings with serrated edges. ...locks the viewer into a disturbed character's head space, generating terror from the possibility it will erupt upon the world at large. 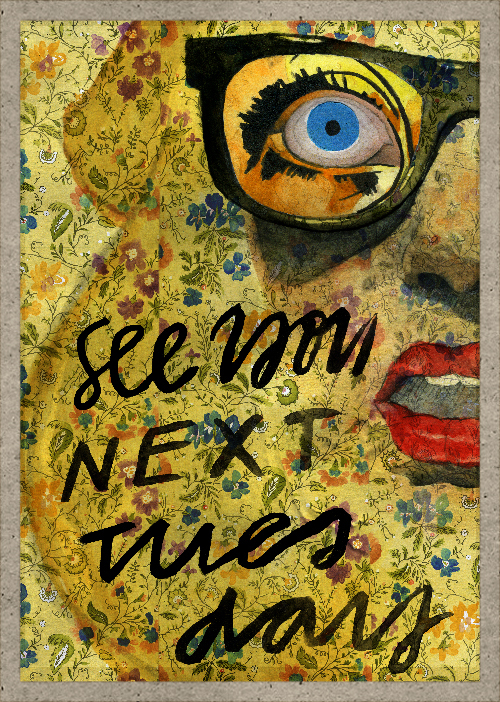 See You Next Tuesday is now available across American Cable in Movies on Demand! ​Mona (Eleanore Pienta) is a mentally unbalanced and very pregnant young woman in a hideous orange coat. Without any friends to speak of and alienated from her hoochie mama coworkers at a crummy Brooklyn supermarket, Mona maintains a strangely close relationship with her campy, recovering alcoholic mother May (Dana Eskelson). Mona’s sister Jordan (Molly Plunk) is an unemployable party girl, estranged from May and making life hell for her increasingly fed up girlfriend Sylve (Keisha Zollar). In the final days of her pregnancy, Mona draws her mother, sister, and anybody who happens to get caught in her wake into her hectic life as she drifts further from reality.